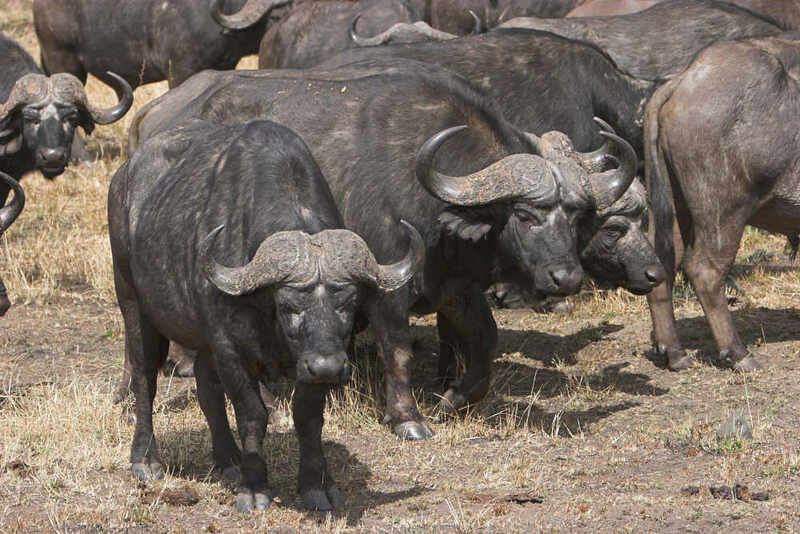 There are 4 subspecies of African buffalo, which is Africa's only cow-like animal. 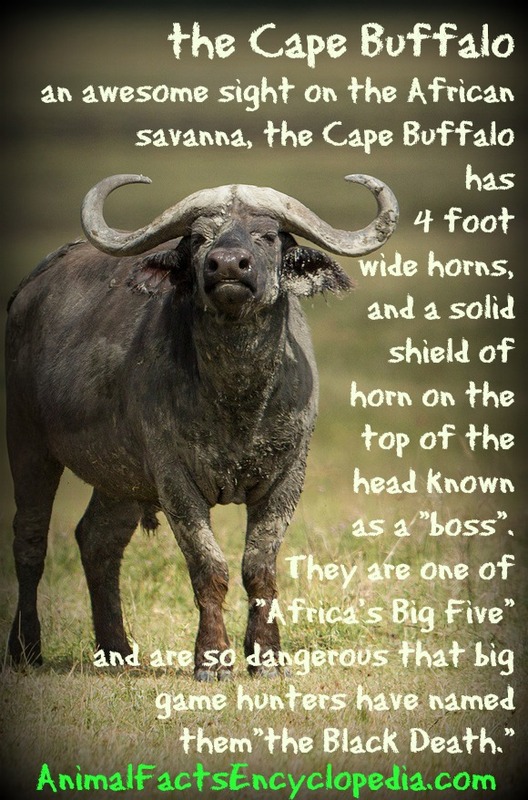 The largest of these is the Cape buffalo, which is the only subspecies recognized as a "Big Five" member. 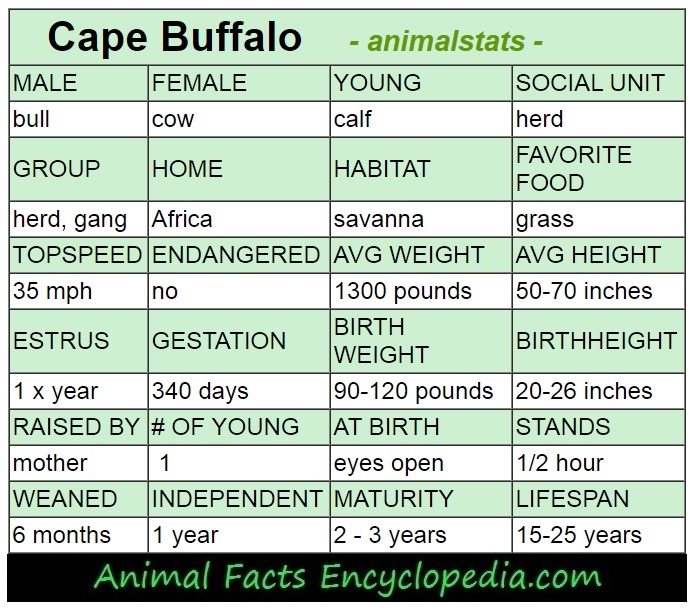 In other words, just like all Pit Bulls are dogs but not all dogs are Pit Bulls, all Cape buffalo are African buffalo, but not all African buffalo are Cape buffalo. It is also incorrectly referred to as the water buffalo, which is a significantly different animal found in Asia. 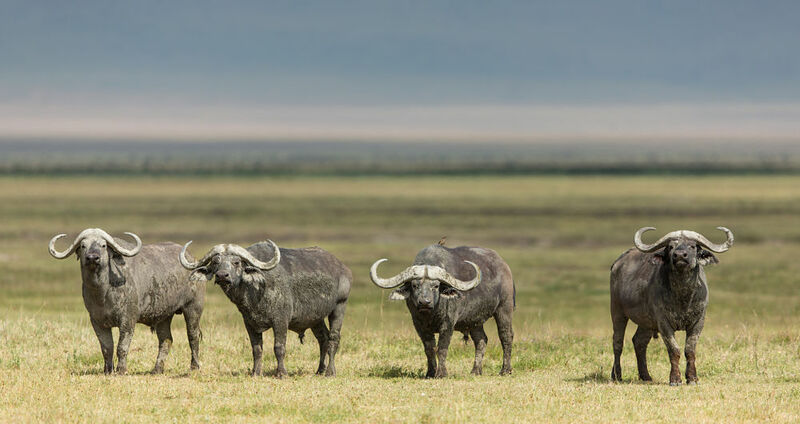 Water buffalo are taller than cape buffalo, but are actually domesticated animals, with mild personalities compared to their hot tempered cousin. 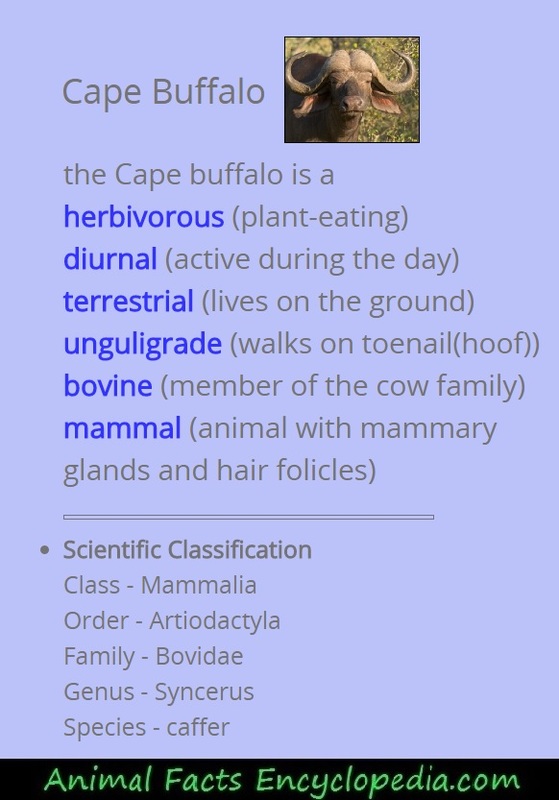 The cape buffalo is a herbivorous bovine, effectively a plant-eating cow, but they are extremely aggressive and downright vengeful. Displaying perhaps a little more smarts than a typical bovine, there are numerous accounts of them using their legendary memories and extreme persistence to enact revenge upon hunters who shoot at or injure them. 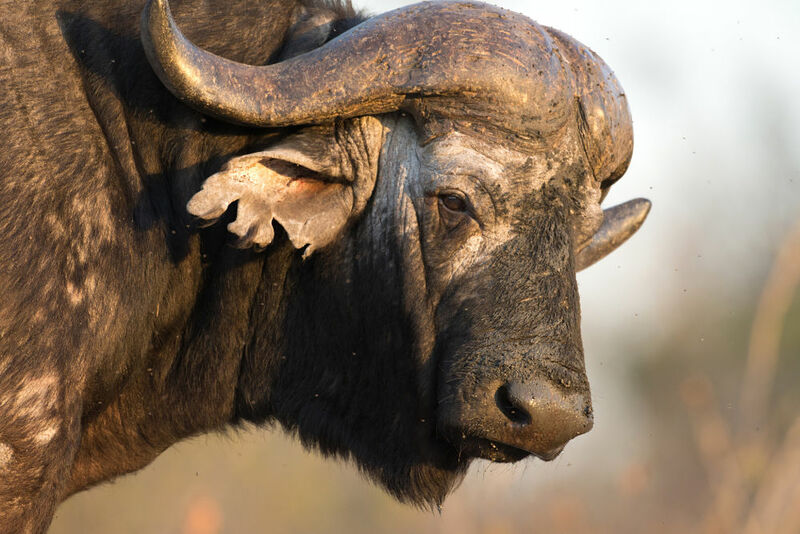 Cape buffalo have stalked hunting parties, hiding in wait, and ambushing their attackers. They reportedly charge thousands of people a year, and gore over 200. 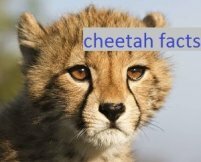 They can attack and cause serious injury with the tips of their huge, curved horns, or by head butting with their "boss" which is the solid shield of horn that covers the skull where the horns emerge. Both males and females have horns, but the males horns grow larger and can measure close to 4 feet across. 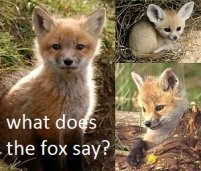 Males also develop a thicker neck, a larger hump over the shoulders, and a fringe of long hairs around the throat that looks a bit like a beard, but is called a "dewlap". 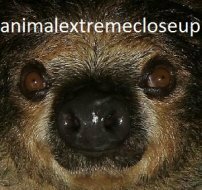 The largest males approach 2,000 pounds and 6 feet at the shoulder and take nearly 10 years of growing to reach full size. Full grown individuals are rarely targeted by large predators, but weakened adults and calves are hunted by lions. Even for a large pride of lions however, attacking any member of a Cape buffalo herd is extremely perilous. Herd members will come rushing to eachothers aid, and many a full grown lion has been gored to death by the Cape buffalo's incredible horns. 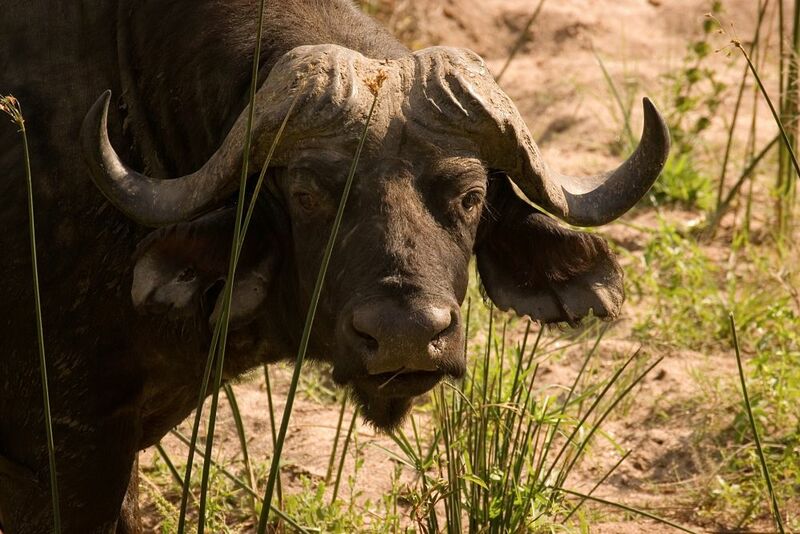 Cape buffalo are extremely gregarious herd animals that will gather in groups of thousands when grazing is good. In the dry season they break up into smaller groups of 30 to 200 or so to find food. Within these herds are several smaller sub-herds that stick together and travel together. Cows and their offspring, including young bulls up to 3 years old, will form family type units of 10 to 30, generally lead by a few matriarchal females. Groups of young bachelors stay together, and mature bulls may stay in small groups of 4 or 5 grizzled veterans sometimes called "gangs". 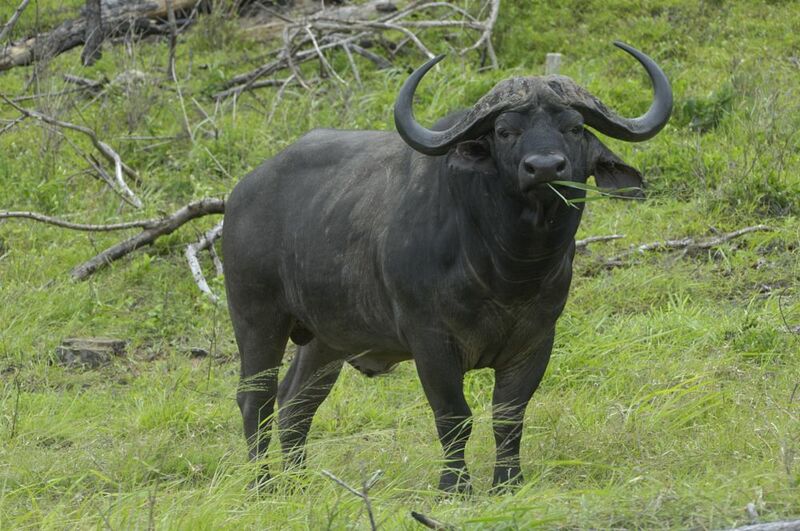 Bulls passed their prime are called ﻿"dagga boys", and will stay on the perimeter of the herd. The movements of these herds is driven generally in the same direction, following food sources and green pastures as they emerge. Cape buffalo cannot go long without drinking, and are rarely more than 10 miles from a water source. 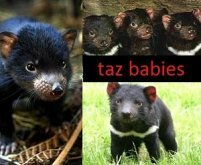 They travel close to rivers and waterways, and will joyfully wallow in mud if available. They cover themselves and roll around in muddy pools to keep cool in hotter months. The mud can prevent insect bites and may smother some insects as well. 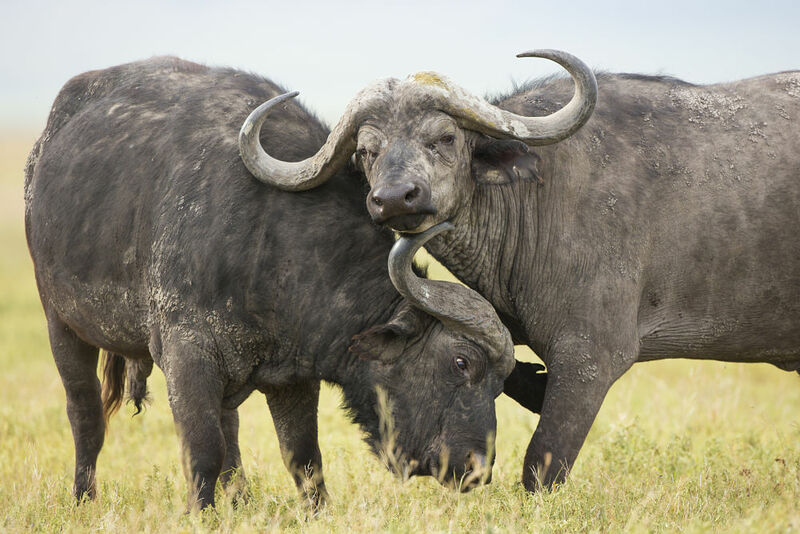 Cape buffalo, although notorious for their aggression, particularly towards hunters, are highly social. 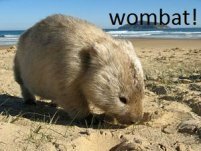 They engage in mutual grooming, will rest or lie down in close proximity, resting their chins on eachothers backs and shoulders, and engage in affectionate nuzzling and playful ear chewing. 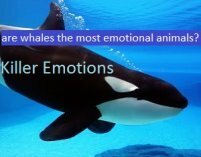 They are extraordinarily protective of eachother, and weak, injured or older herd members have been observed enjoying the support of the herd. When in unfamiliar territory or under attack, herds will often surround calves or weak members all facing outward in a circle, ready to fight all comers. 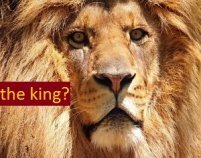 There have been numerous accounts over the years of buffalo coming to aid one of their own against a lion attack, mobbing lion prides with a community effort. A tendency to charge en masse Sometimes the buffalo are the aggressors, particularly if a solitary lion, hyena or wild dog wanders into the path of the herd. Older bulls and sometimes fearless matriarchs will chase and sometimes kill lone predators, and some even make sport of it. During mating season mature bulls will drive off younger males and old bulls, while attempting to keep cows close. 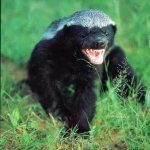 Males may engage in sparring, pushing eachother with their bosses, but goring is rare, and joists tend to be tests of strength, with the less robust party leaving the scene before any damage is done. Strong, healthy bulls in the 8 to 14 year range are most successful at attracting a herd of cows, and just a few males will actually breed with most of the females. 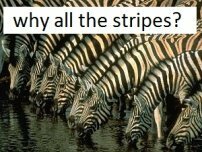 Gradually, however, they lose their ability to defend their herd. 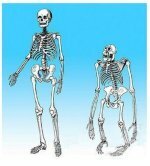 Eventually, very old males will stop attempting to rejoin the herd and will stay on the outskirts in small groups, or sometimes alone. As cape buffalo age the hair on their rumps tends to bald, and older males can be identified by their bare behinds. 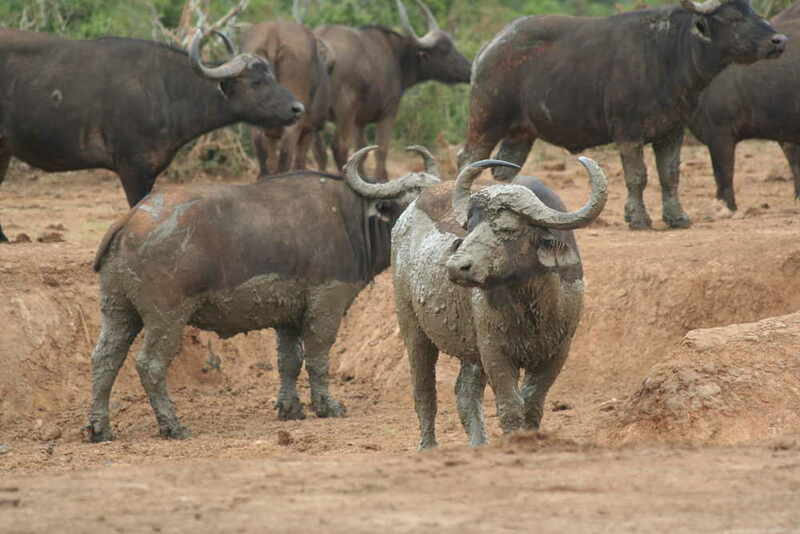 With patches of bare skin exposed, mud wallowing is a requirement to prevent sunburn, and these older bulls spend lots of time by the mud holes. They are called "dagga boys" by the Zulu people, dagga being the Zulu word for mud. Dagga boys tend to be cantankerous, frustrated, and exceptionally dangerous, probably accounting for the majority of attacks on people. Cows are pregnant for about 340 days, and breeding is timed so that calving takes place at the beginning of the rainy season. 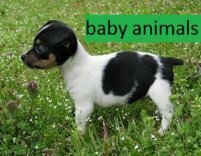 The calf is born quite precocious, fully furred, eyes open and able to stand within minutes. Calves have no horns when newborn, but there are two horny circles on the head called "buttons" from which the horns will soon start to grow. It takes about 10 years for horns to reach full size, and for the boss to fully harden. 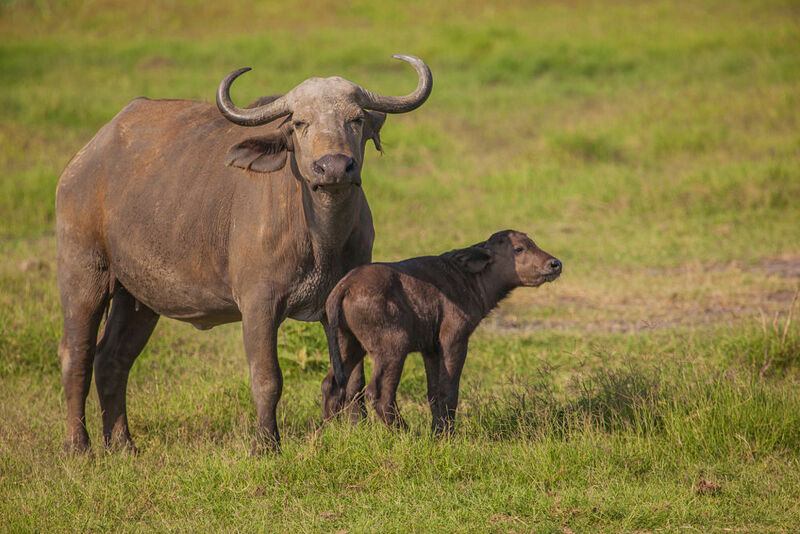 Young calves are raised by their mother, but all members of the herd look out for them and may come to their aid. The herd will also form a circle around calves when danger is near. If a pride of lions or other threat approaches herd members will stand in a circle around the calves facing out, ready to defend the little ones. are oxpecker birds just another parasite? Those active little birds with the brightly colored beaks that can be seen hopping all over African buffalo are called oxpeckers. There are 2 species of oxpeckers, both very similar in appearance, one red-billed and the other yellow-billed. They are both quite happy to roost on not just Cape buffalo, but also elephants, antelope, and especially rhinos. 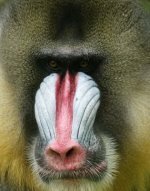 They feed on the insect parasites that infest their large hosts. 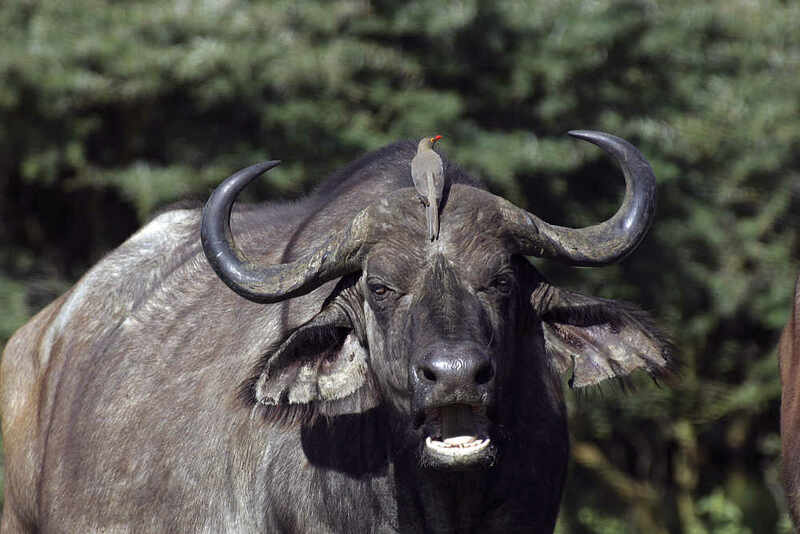 Ticks, lice, flies, and fleas colonize on Cape buffalo and are eaten by these birds. The oxpecker will remove embedded ticks from all areas of the hosts body, entering ears and nostrils, and excavating around delicate nether regions. 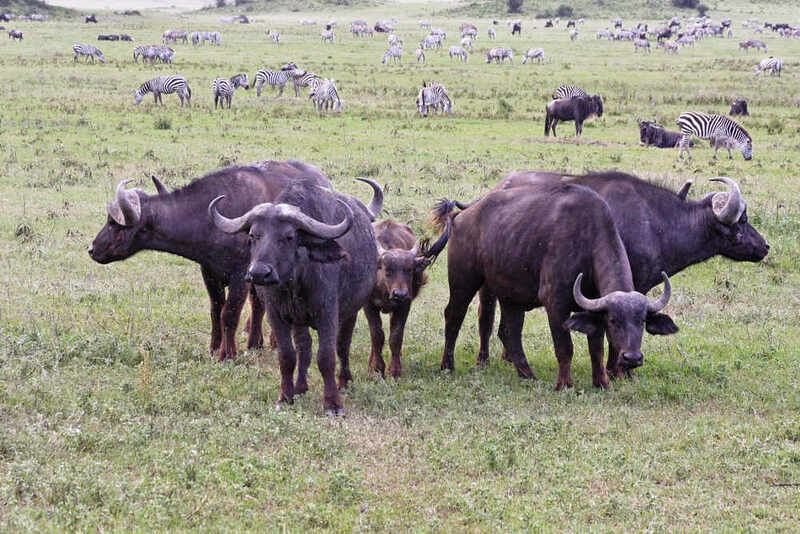 This has always been thought of as a symbiotic relationship, with both creatures benefiting relatively equally, but recent observations suggest that the buffalo doesn't benefit nearly as much as the oxpecker. 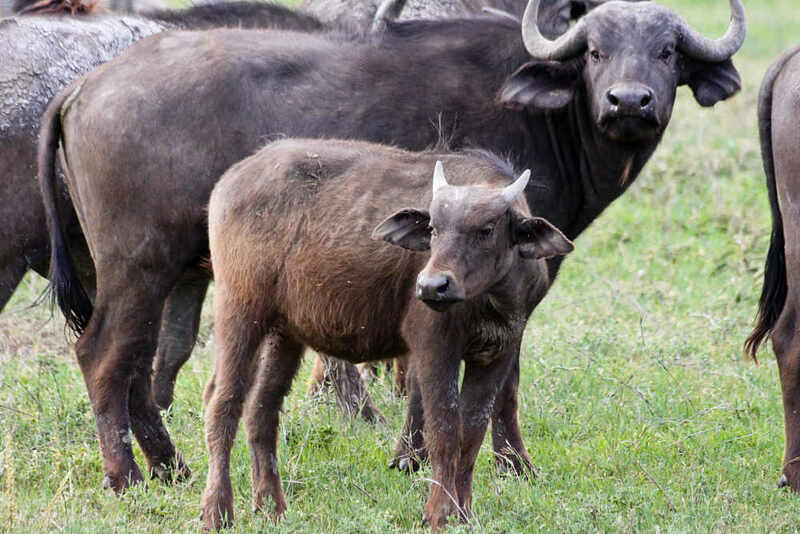 Once thought to keep buffaloes wounds clean by removing dead tissue, it is now thought that the oxpeckers actually interfere with and delay proper healing. 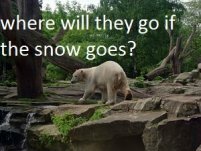 It is also questionable how beneficial their control of ticks may be, since they tend to prefer blood-engorged ticks that have already fed off the buffalo, allowing the ticks that have just arrived to attach and settle in for a meal. By doing this the birds are, in a way, actually consuming buffalo blood with each engorged tick they eat. So the pendulum is swinging towards the idea that oxpeckers, once thought to be little helpers, are actually just as parasitic as the parasites they feed on. 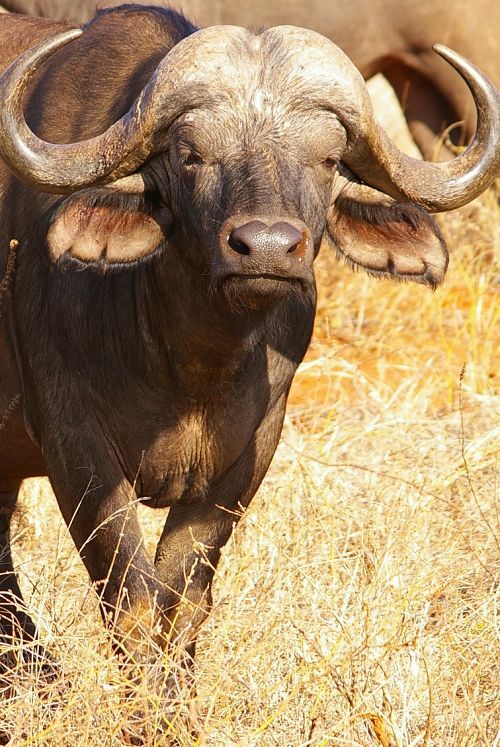 Cape buffalo are so dangerous they are known as "the Black Death"